Successfully Added LED Flashlight - 8500 Lumen, 7x CREE XM-L T6 LEDs, Aluminum Alloy Body, 5 Light Modes to your Shopping Cart. This extremely powerful LED flashlight lights up all that lies ahead. 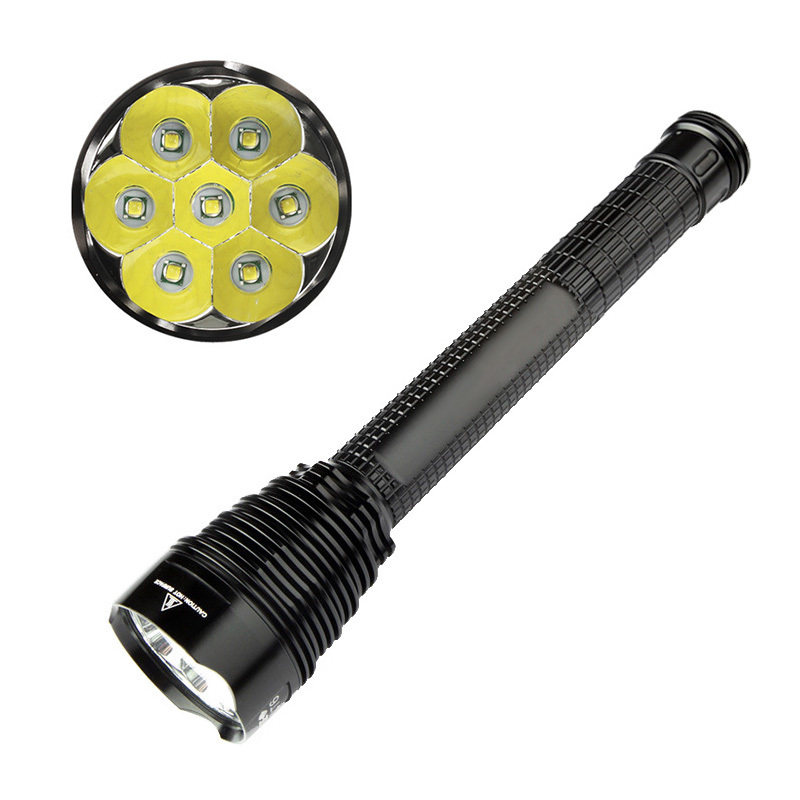 With its 7 ultra-bright CREE XM-L T6 LEDs, this flashlight brings forth a stunning 8500 lumen. Thanks to this, it is perfect to be used in emergency situations or for when heading out after dark. The flashlight is powered by two 18650 batteries that bring forth 3 hours of continuous usage time. You’ll furthermore be treated to an extension piece that allows you to insert an extra third battery (not included) to increase your flashlight’s usage time. Thanks to this, it allows you to get through the longest of nights without needing to worry about battery life.